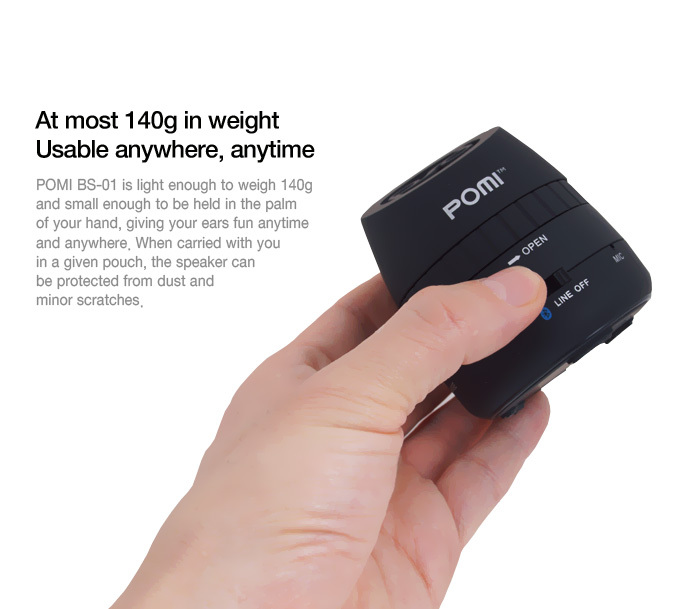 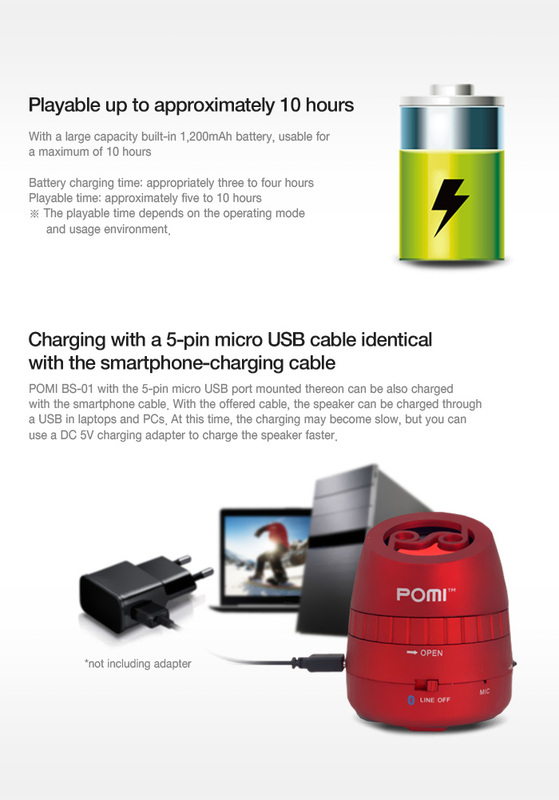 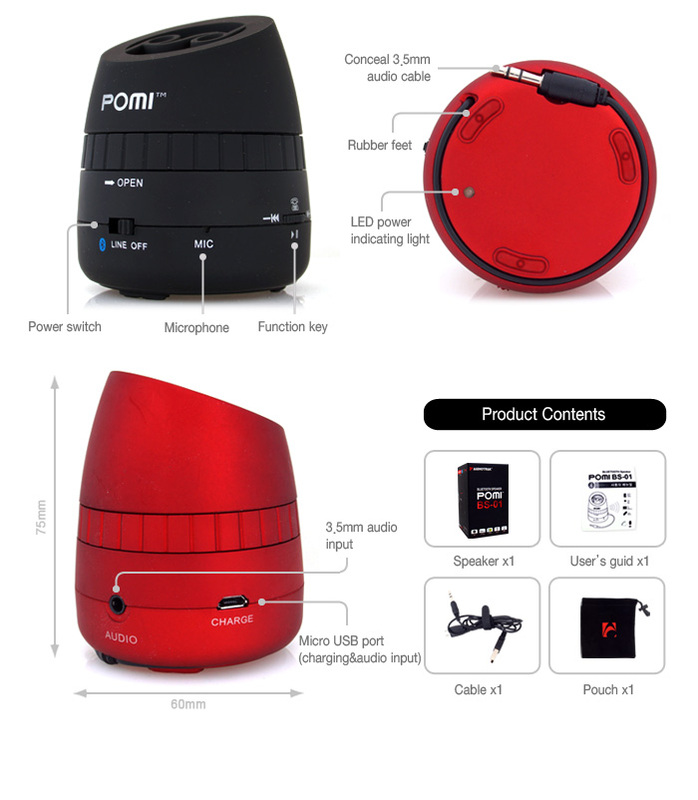 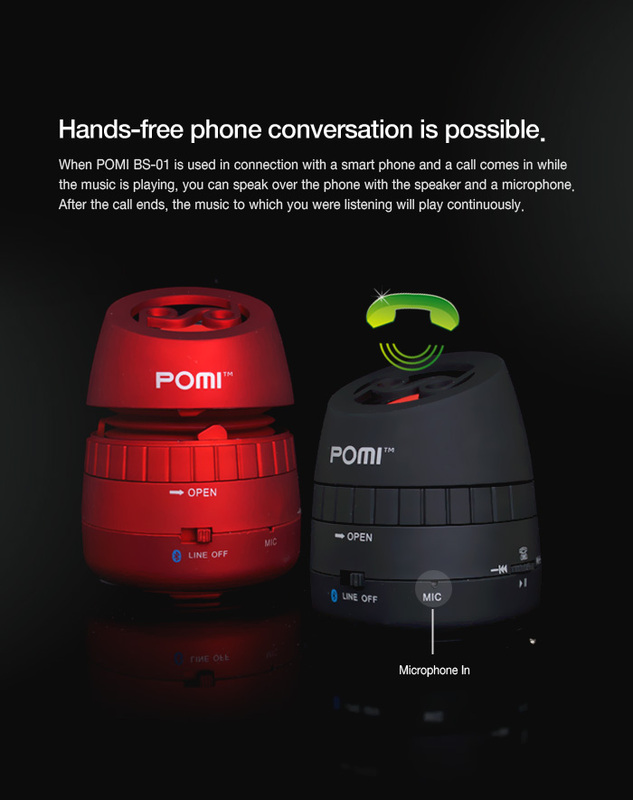 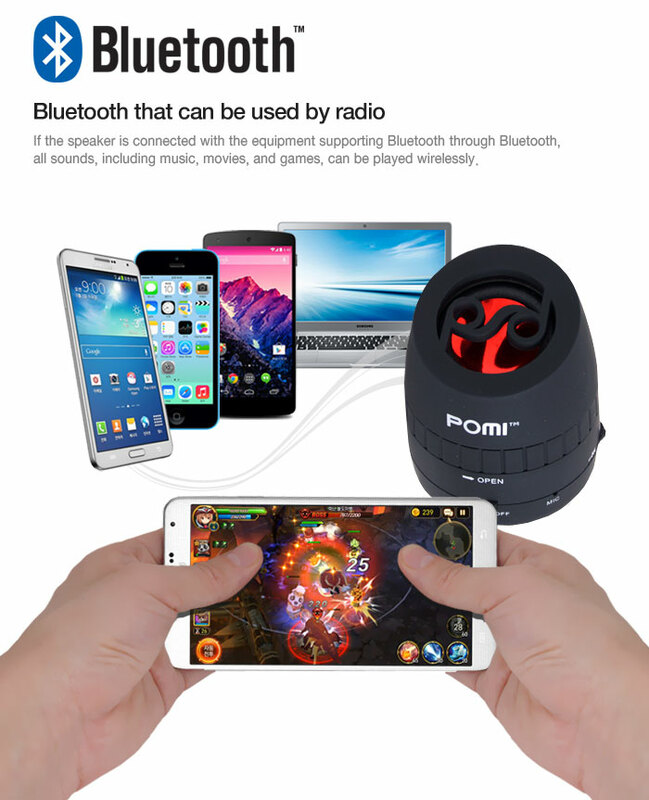 POMI BS-1 can be used in most devices with Bluetooth capabilities, such as smart phones, PCs, laptops, and netbooks, by radio. 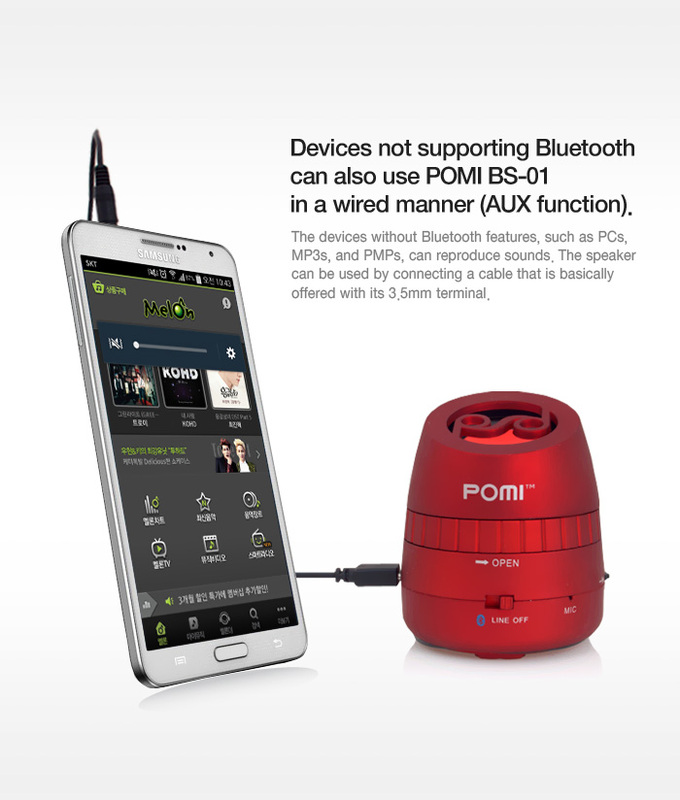 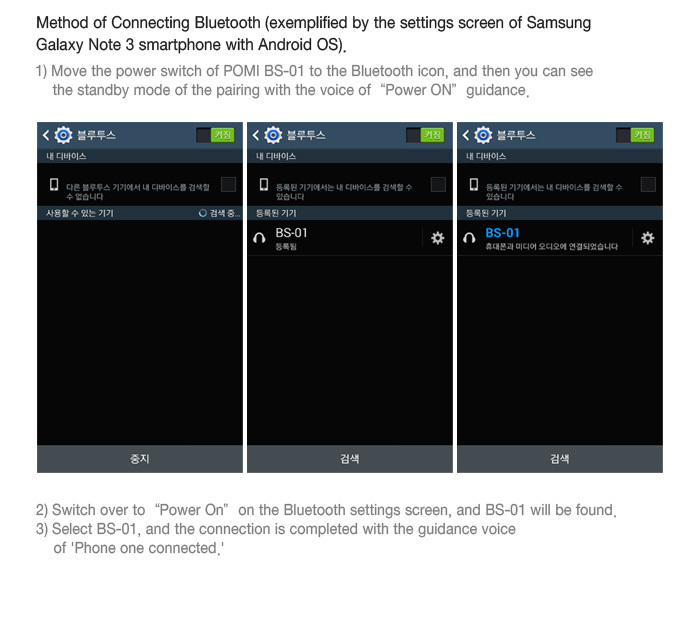 Even devices without Bluetooth capabilities can adopt POMI BS-01 in a wired manner with a 3.5mm audio connector. 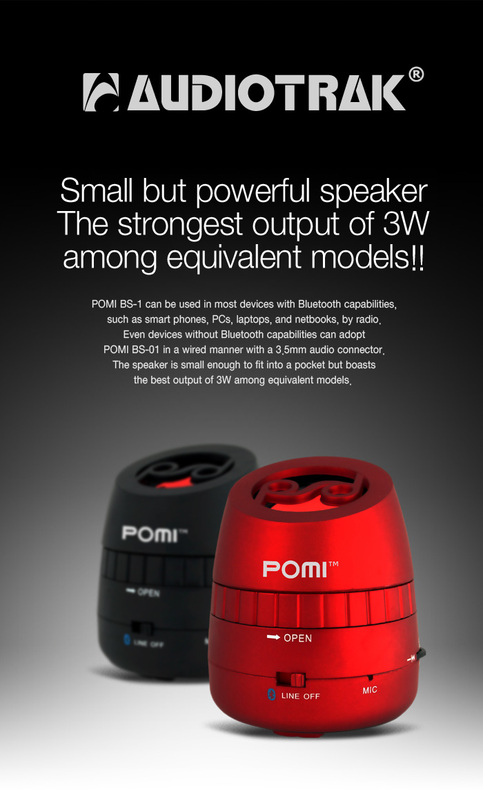 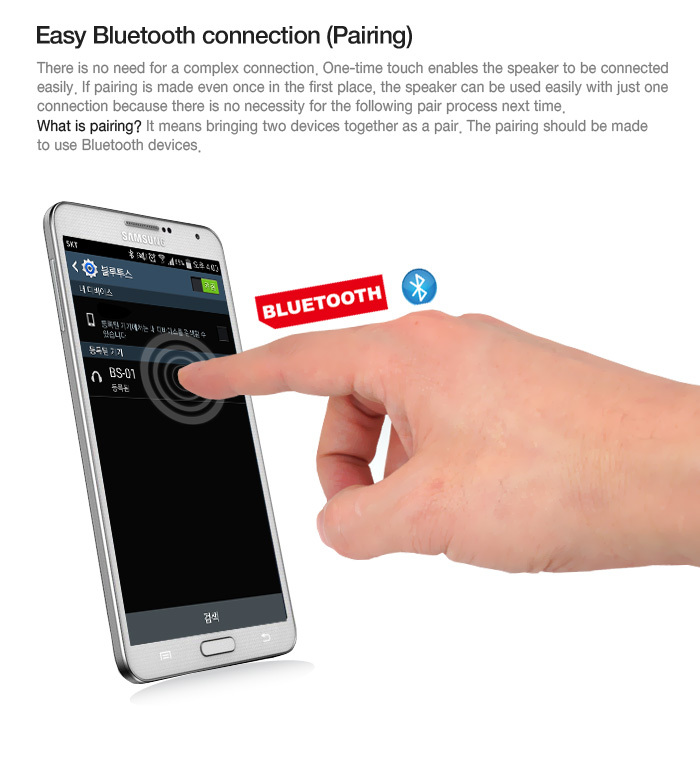 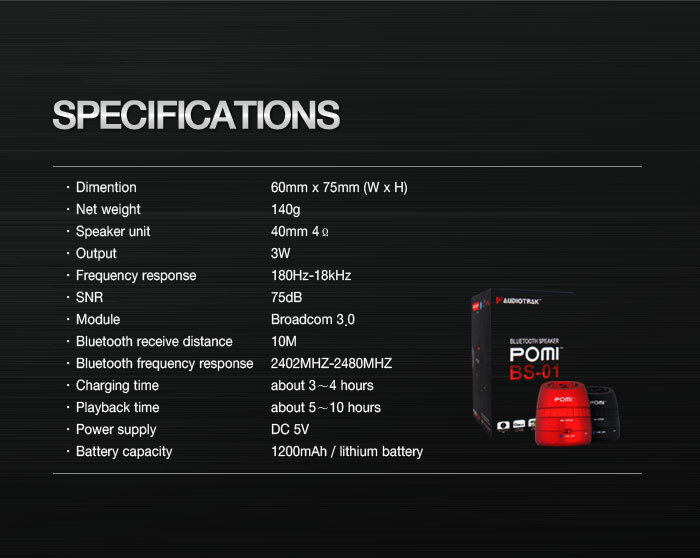 The speaker is small enough to fit into a pocket but boasts the best output of 3W among equivalent models.